Ships today if you order in the next 9 hours 38 minutes. Gugulipid (often referred to as guggul) is a resin extract from the mukul myrrh tree that has been a staple in Ayurvedic tradition for thousands of years. It has been known to provide a number of health benefits, especially for support of heart and cardiovascular system health. 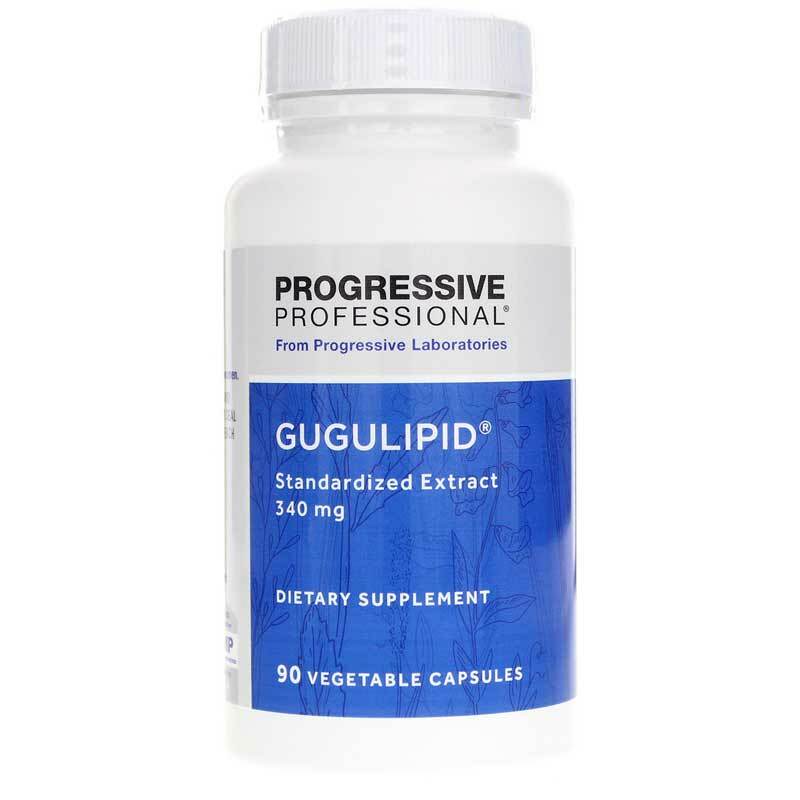 Progressive Laboratories' Gugulipid is a natural dietary supplement that provides 340mg of gugulipid in every vegetable capsule to support healthy levels of lipid metabolism and overall cardiovascular system function. 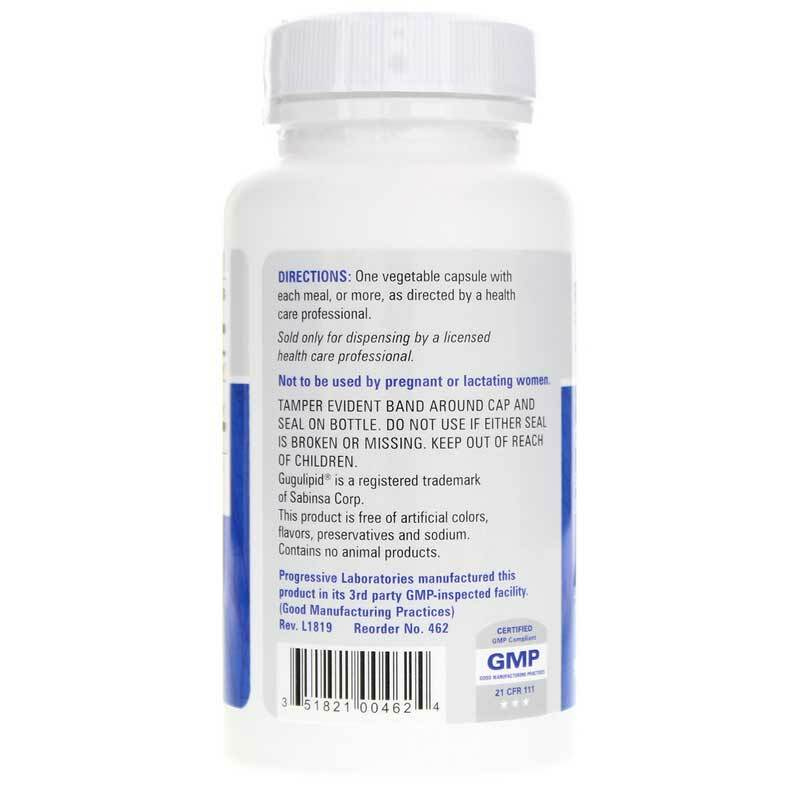 Made in the USA and GMP compliant, it's the truly all-natural way to support a healthy heart. Each batch of Progressive Laboratories' Gugulipid is 100% vegetarian, and is made without any animal products, sodium, or artificial flavors, colors, or preservatives. 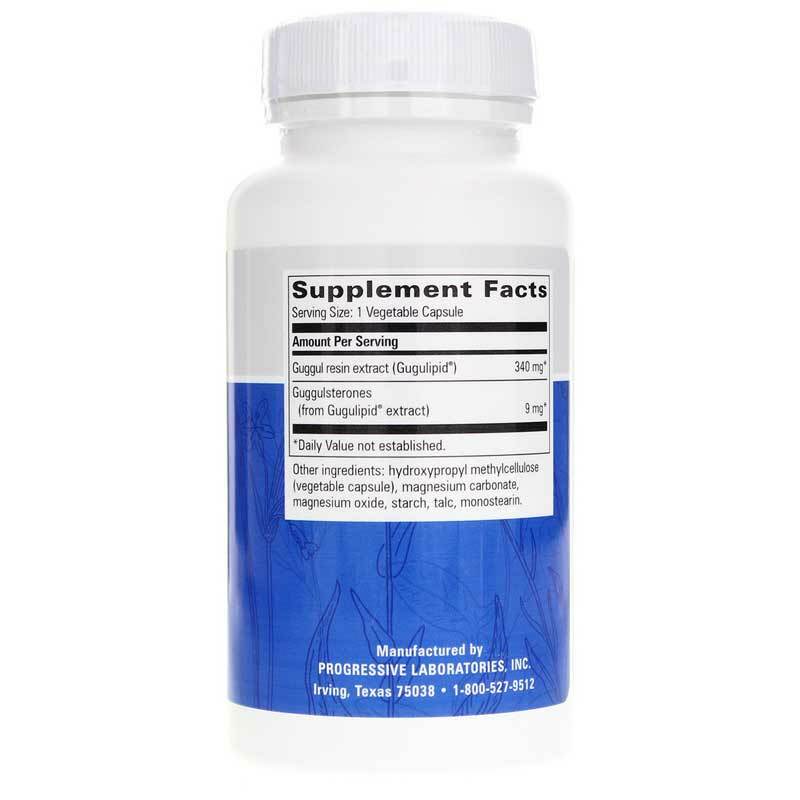 Just one easy-to-swallow vegetable capsule three times every day may help keep you on the all-natural pathway toward optimal overall health and wellness. Order yours now! Other Ingredients: hypromellose (vegetable capsule), magnesium carbonate, magnesium oxide, starch, talc, monostearin. Contains NO: artificial colors, flavors, preservatives or sodium. Contains NO animal products. Adults: One vegetable capsule three times daily, with meals.